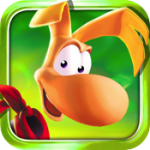 Gameloft’s port of Rayman 2: The Great Escape [App Store] launched this evening, and fans of the original will be in for a treat as it appears that very little, if anything, has been cut from the game in the process of squeezing it on to the iPhone. 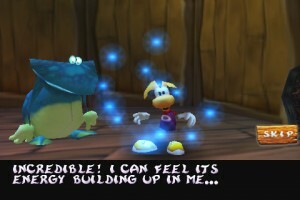 Rayman 2 is a 3D platformer released in late 1999 that takes place in a world known as the “Glade of Dreams" that happens to be infested by robot pirates who, lamentably, invaded and destroyed the “Heart of the World". Now it’s up to Rayman to seek out the four magic masks needed to awaken Polokus, the spirit of the world, and set things right. 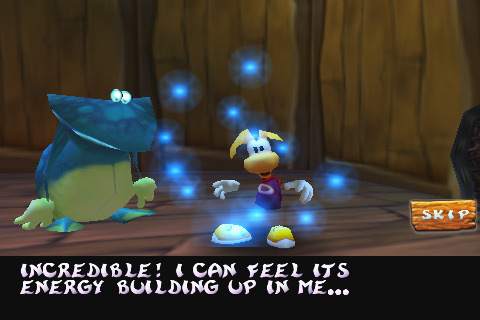 In the graphics and sound department, Rayman 2 is great. It looks just as I remembered it on the Dreamcast, and the soundtrack does a great job of setting the mood of the game. Unfortunately, once you get past how cool it is to be playing a late 90’s console classic on your phone, things start to quickly fall apart. As a 3D platformer, the two most important things are the controls and the camera system. 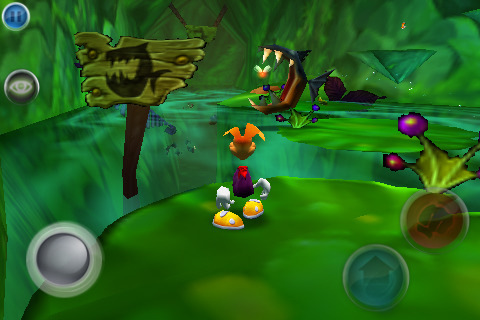 A virtual joystick on the left side of the screen controls Rayman’s movements, while a set of buttons handle jumping and tossing orbs to attack. Additional buttons appear when needed, such as a third button to dive while swimming. The camera can be moved left or right by swiping that direction on screen, and to lock on to enemies a confusing pinching gesture is used. There are also some portions of the game with an obligatory tilt gimmick thrown in for good measure. I feel like there are a lot of similarities between what I think about Rayman 2 and how I felt about Earthworm Jim when Gameloft brought it to the iPhone last year. The game itself looks great, but even a fantastic looking port of a game I had a lot of fun with when it was first released in the late 90’s doesn’t outweigh the cumbersome controls that make even the simple tutorial levels much more difficult than they should be. I can forgive Gameloft for yet another game that doesn’t really fit the iPhone with a set of virtual controls plastered on top, because Rayman 2 with bad controls is still better than not having Rayman 2 at all. As you progress through the game, you even start to get used to the crazy camera system and end up falling off ledges much less than you were originally, but something as simple as character movement really shouldn’t have a learning curve attached to it. Where Gameloft completely loses me on this port is in the save system. If you need to answer a phone call, a text message, or quit the game for any reason, the next time you load it you’re back at the level select screen and need to start the level you were on over, complete with skipping through any associated cut scenes. Taking these flaws in to account, Rayman 2 is hard to recommend, especially as your first foray in to the Rayman universe. If you are willing to invest the time in to mastering the game’s irritating controls, and can work around the ridiculous save system, you will be rewarded with a classic adventure across tons of unique levels that are loaded with oodles of different hidden collectables.